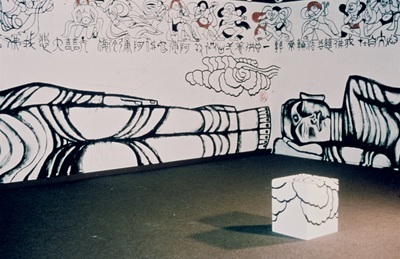 In November, 1985, Liu has her first one-person exhibition at the soon-to-be-demolished Sheppard Gallery, University of Nevada, Reno, where she uses the whole space for a mural-installation based on the ancient grotto caves of Dunhuang, in northwestern China along the famous Silk Road. 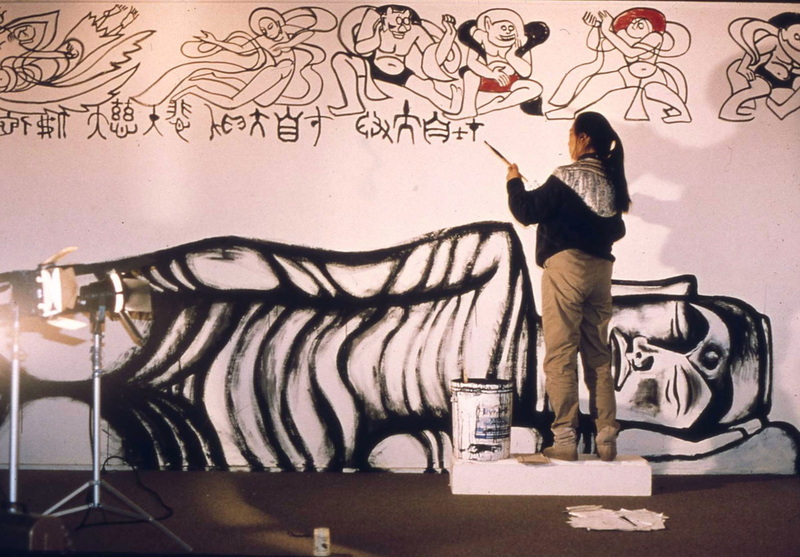 She used the Buddhist iconography of Dunhuang as a way of claiming, for the first time in her life, an entire gallery space (a modern cave). 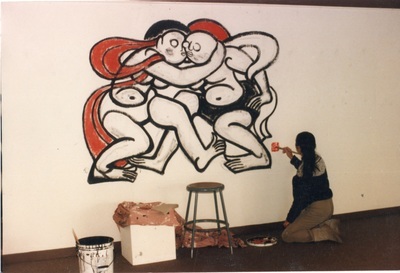 The exhibition was later destroyed with the gallery.